TRAFFINA FOUNDATION FOR COMMUNITY HEALTH (TFCH) is a non-governmental non-profit organization that exists to complement the efforts of the Federal Health departments, local implementing Partners, International Aid Agencies and Civil Society organizations in promoting and implementing Maternal and Child Health programs in Nigeria. The organization is led by a Nurse/Midwife and a Fellow of Maternal health Program with the Maternal Health Task Force at Harvard School of public Health and Institute of International Education USA. 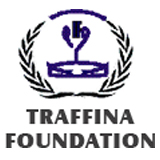 The Traffina Foundation has been on the frontline of promoting maternal and child health programs by providing door to door ante-natal services, distribution of free clean delivery kits, community advocacies on male involvement in maternal and child health mapping and training of Traditional Birth Attendants and free medical care services to children in rural communities.